This second one in the series is perhaps my favourite over the first one. I used Emerald Envy cardstock and onto that I added a layer of one of the lovely patterns from Merry Patterns DSP. I switched things around a little for the card created on the video which is now live on my You Tube channel. The tag on the card on the right of the photo is made using pieces of the same cardstock and DSP layered up with a sentiment stamped from Merry Mistletoe in Emerald Envy, the scalloped tag topper punch was used and it was fastened to the card using dimensionals. 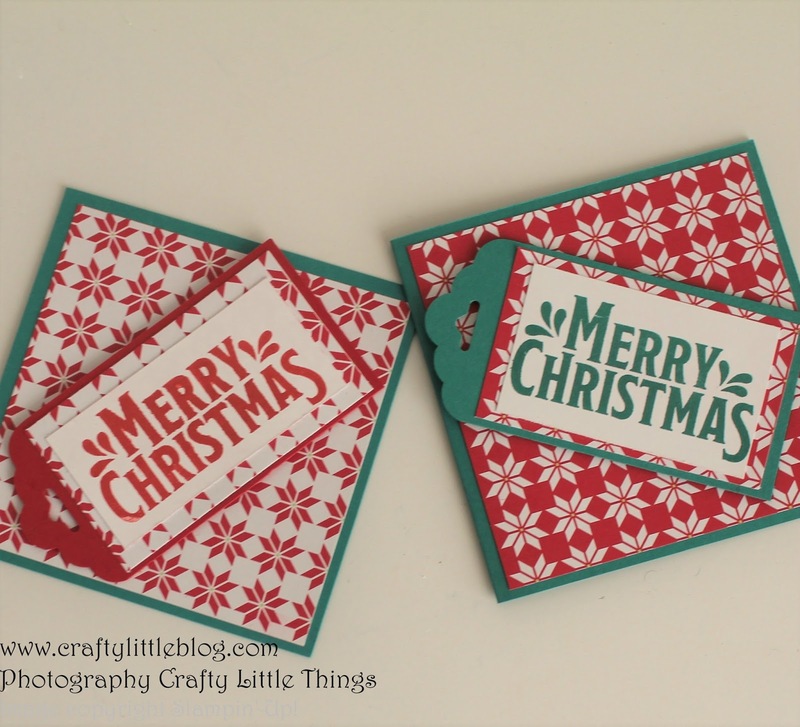 On the left I used Real Red cardstock and ink to make the tag. I really love the simplicity of this card and think it would be so easy to batch make so it's perhaps my favourite so far. Keep an eye out for the rest and for the giveaway at the end of the 7 days. 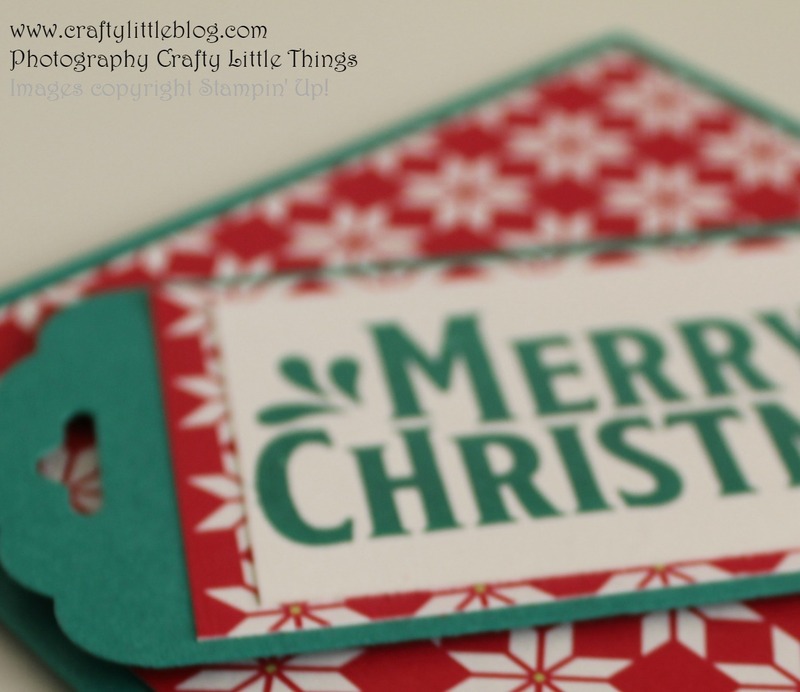 Thank you Fiona x Paula Gorry the UK Business Development Manager for Stampin' Up! spotted my series and has awarded me a random prize for my efforts. Most unexpected and made me feel quite humbled as we know I'm not the best of card makers but it's nice to have something done in good spirit noticed.